I hope you have had a magical few days! Despite the children taking turns to be ill, we have managed to have a really lovely time. We are now down at my parents for a few days in East Sussex, where there will be lots of curling up in front of fires, and drinking tea. 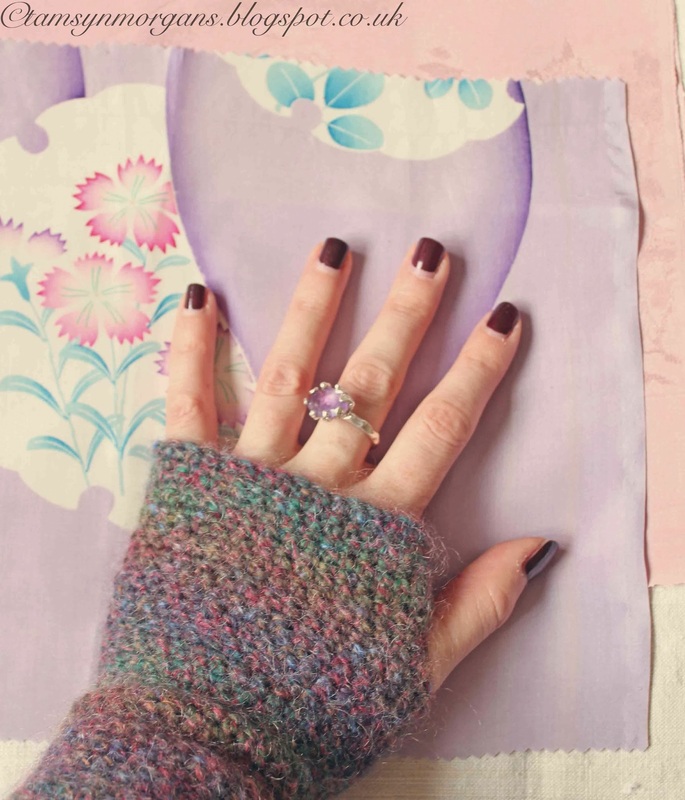 As I have mentioned before, I take part in a weekly Twitter ‘tweet-up’ called #craftblogclub. It takes place on a Tuesday evening from 7pm, is organised by the lovely Emma at Life is Peachy Tales blog, and is a place to show your crafting makes, bounce blog ideas around, and meet lots of lovely crafty/blogging types. The last craft challenge Emma set us was for Halloween, you can see my post on my fabric pumpkins here. Our next challenge was to take part in a #craftblogclub Secret Santa, and the brief was to make a personalised gift for your recipient. I absolutely LOVE the gift I received, and when I opened it I was genuinely touched, so much thought had gone into it. (Apologies for the picture of my sausage fingers, but I had to show you them on!) 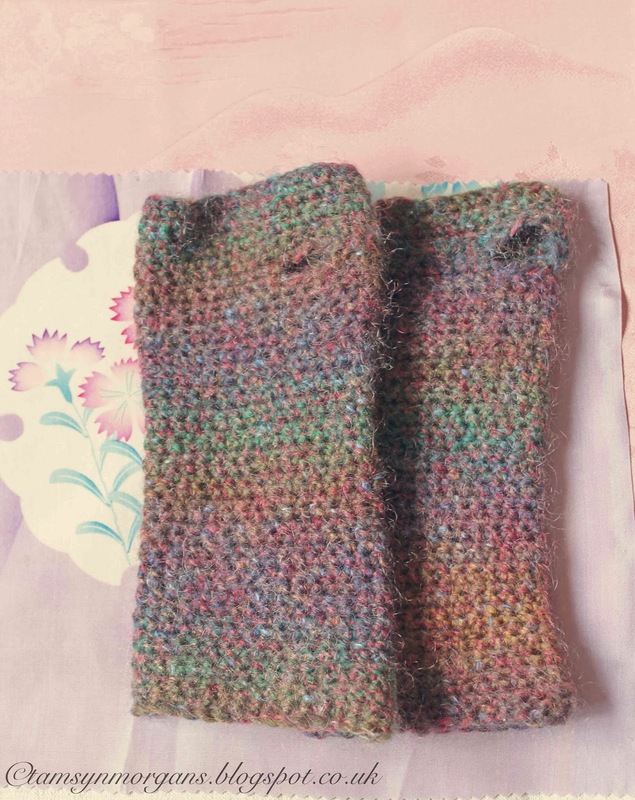 Emma at Girl in Knits Crafts blog crocheted me these divine wrist warmers in the most beautiful colours. 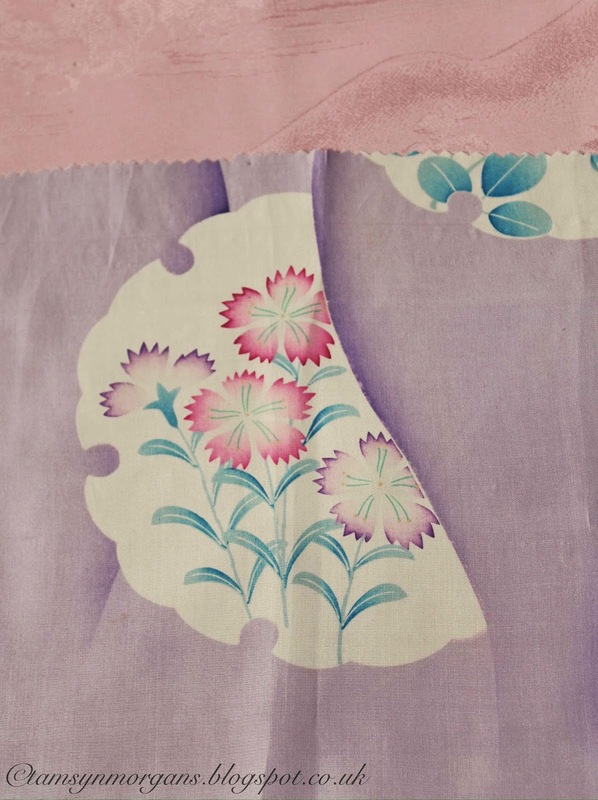 Not only that, but they arrived wrapped in gorgeous vintage kimono fabric, which I might put in a frame. Thank you so much Emma! I made a bag for Emma at Life is Peachy Tales blog, and although it wasn’t finished as beautifully inside as I would have liked (time got the better of me!) I was pleased with the finished result. 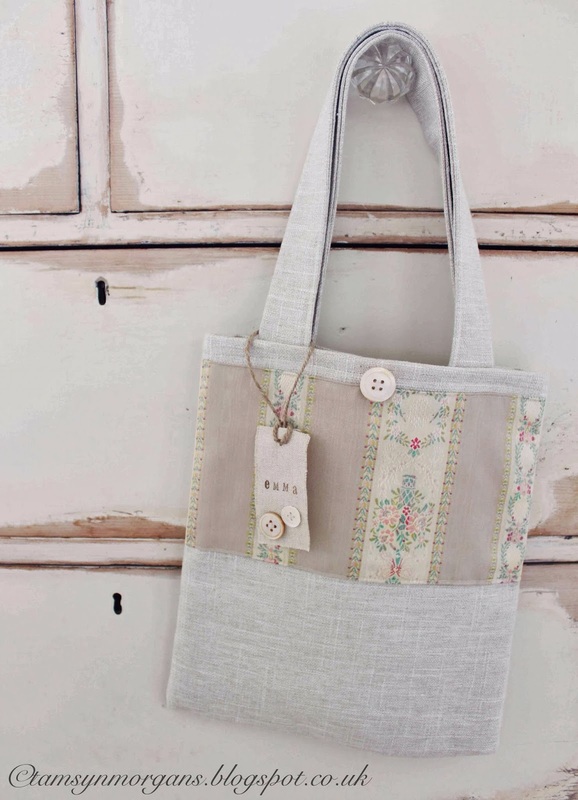 I chose muted, vintage colours, and personalised it by adding a little linen label with her name stamped on it. I love this time between Christmas and new year, I’m going to use it to catch up on all the blogs I read, and gather inspirations for 2014 – what plans do you all have? Those wrist warmers look so cosy and the colours are gorgeous. 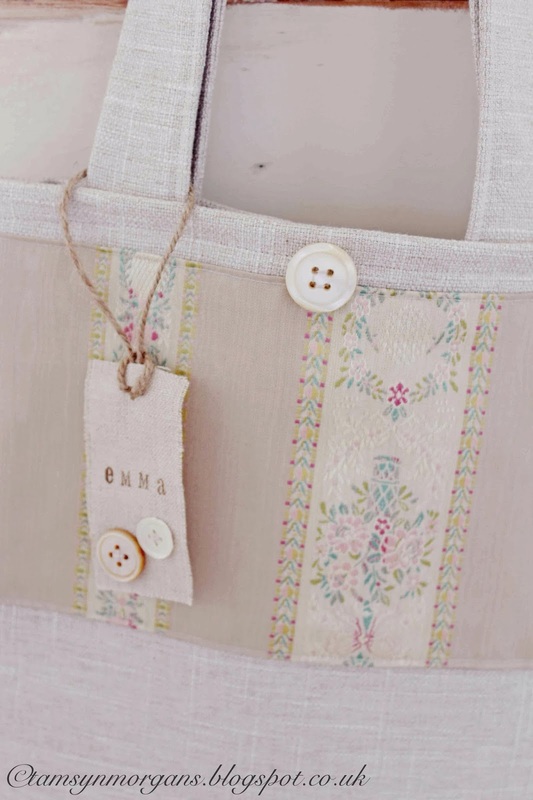 I love the little bag you made for Emma, especially the little personalised tag! #craftblogclub has been so very inspirational – long may it continue!